BARCELONA. Here’s a bunch of behind the scenes snaps from the Werelse shoot we did in Barcelona last Sunday. The call time for hair & makeup was 5.45 in the morning and I’m pretty sure I looked like a sleepwalking zombie on my way there. It was a really long day that started with an early photoshoot for a magazine in the empty streets of Barcelona, followed by a video shoot with an amazing crew in a really cool location. We worked until the last minute and me & Andy ended up having to rush to the airport with the clothes + hair & makeup from the shoot. I have never looked so glamourous while flying, hahaha. We’ve had so much fun working on this project and I can’t wait to tell you guys more about it! This entry was posted in Beauty, Collaborations and tagged Andy Torres, behind the scenes, Chiara Ferragni, fashion blog, werelse by Carolina Engman. Bookmark the permalink. Excited to see the official pictures! LOVE this! I love both yours and Andy’s hair! I like this black&white styling so much! Love what they did to your hair ! you three look great! what a mystery!!!!!! so many great pictures. i love black/white. such great black&white impressions. really sweet hairdo girls! 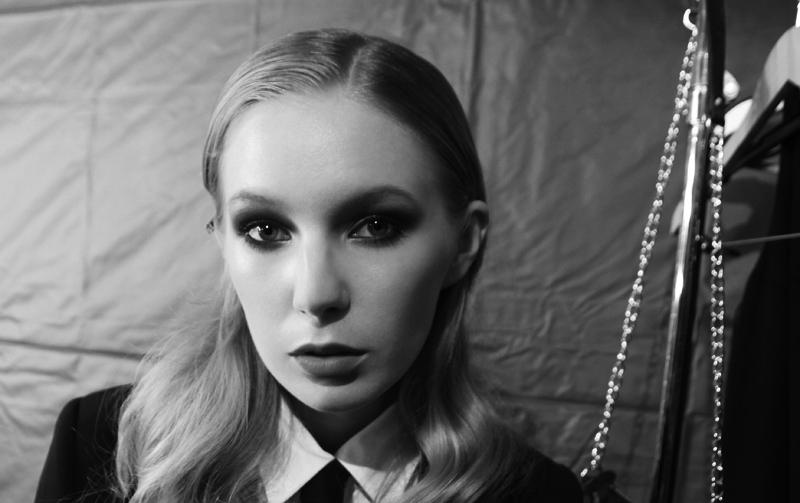 Nice photo’s, love the black and white, bit retro with this styling, works really well. Love the pictures and your hair is to die for. Vote for you girls everyday on Bloglovin! And your is so retro chic. Instantly in love. You guys look so great and like you are having lots of fun! You look amazing, I love these quirky to close shots of you, it gives you that creppy anglic look. In a good way! I can’t wait to see everything! Awesome Pics! They are all great! Beautiful photos, the first one is just stunning! How lovely does your hair look aswell, gorgeous soft curls! Lovely, looks like you had fun! so wonderful! i hope your blog business will sweep the awards! lovely!!!!!!! new blog!!!! follow mee!! Great photographs. Love that they’re in black and white. Aww you look so beautiful carolina.I really miss your outfit photos:( When are you going to start posting it regularly as I really love your style. Glamorous behind-the-scenes shots. Congrats on the new success! Sometimes these behind the scenes photos are more interesting than the final ones! Great behind the scenes shots. I love your hair and makeup. You look really nice, can’t wait to see the shoot! I love black and white photos and these are just incredible! You girls look beautiful. you look gorgeous as always !! These photos are truly beautiful!!! i love that these are in black & white! Great photos. 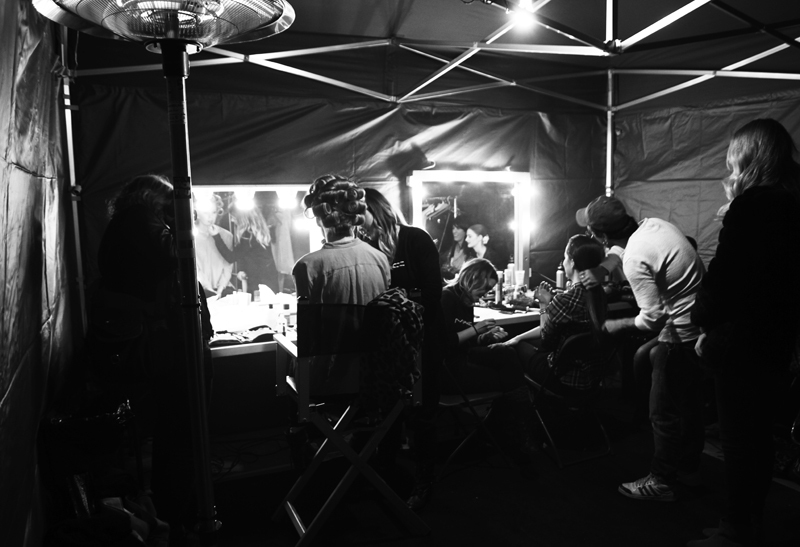 I seem to love all of the backstage “sneak peeks” more than the actual show. Beautiful hair and make-up. BEAUTIFUL PICS CONGRATS TO YOUR BOYFRIEND! 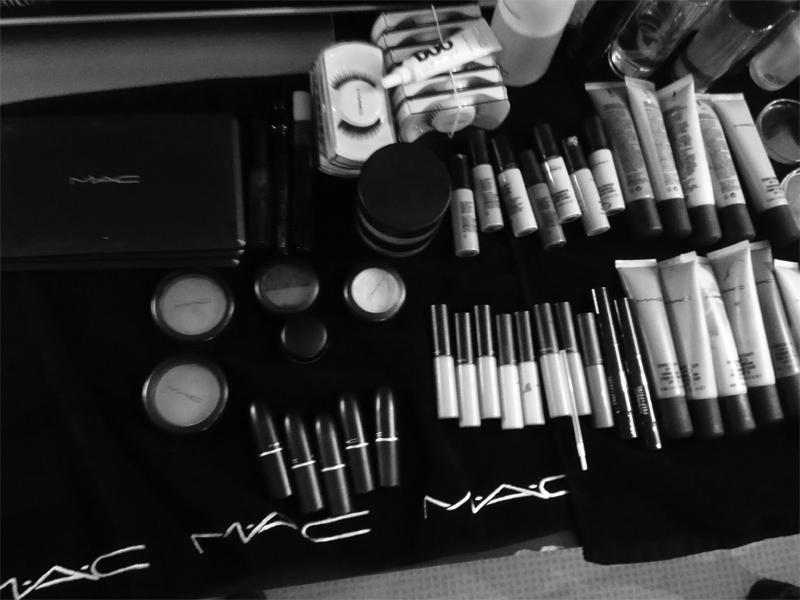 All that MAC make-up makes my knees go weak! And you lokk fantastic! You look very pretty, Andy looks different with hair combed back, I’m sure it was good experience to be pampered. u’re so beautiful! can’t wait to see the result! Divine photos. Love the lux look of the girls hair. Love the classic Inspired look, beautiful. Not a fan of Andy’s hair and make up, but I love yours! They did such great hairstyle on all of you girls! You all look beautiful :) Looking forward to seeing the official pictures. Oh my God!! You look awesome all the time!!! Great pics! Lovely pics from Barcelona, my City =). visited the site girls. it’s great! and you are splendidly retrò ? beautiful photos…you andy an chiara are the best team ever!! You girls are so beautiful! I love the hair and makeup! Following you, would love it if you could follow back. Great pics!…:) Come check out my blog! Lovely atmosphere in all these pics. I love this kind of beauty posts. two of my favorite bloggers! u ,girls, are adorable !! Love your black & white shots.